The Board of Directors established the EWCL Advisory Council in 2015 to advance and support EWCL’s leadership training and wildlife conservation mission. The Council works to promote EWCL’s core objectives of training, networking and mentoring, and conservation projects. Council members are invited to join by the EWCL Co-chairs, and serve three year renewable terms. Beth is the US Director for IFAW. She directs the strategic development and implementation of IFAW’s US projects, campaigns, and political advocacy . She is most proud of creating and leading IFAW’s innovative work to look beyond GDP for alternatives that better promote happiness and wellbeing for people, animals and the planet. Beth has worked in conservation and development for over 20 years at The Nature Conservancy, World Wildlife Fund, and National Wildlife Federation and in the US government at the Peace Corps and the US Agency for International Development. Beth is a certified diver and loves to travel. Christopher Kuhar is the Executive Director of Cleveland Metroparks Zoo and a member of the Board of Directors of the Association of Zoos and Aquariums. Chris holds a PhD in Experimental Psychology from the Georgia Institute of Technology and has spent nearly 20 years in zoos, including Zoo Atlanta and Disney’s Animal Kingdom, focusing on the behavior and welfare of primates and evaluating the conservation impact of zoo-based conservation programs. Currently, Chris is working with his team on re-visioning Cleveland Metroparks Zoo as a global conservation agency and focusing on the care and welfare of wildlife around the world. The Future for Wildlife program unveiled in spring 2016 is the first step in completely integrating conservation action and impact evaluation into all programs within the park. Dr. Barney Long works on the conservation of endangered species and the thematic approaches required to achieve the recovery of their populations. His work focuses on mammal conservation, but is engaged in the conservation of many taxa. He has engaged extensively in conservation initiatives for Saola, Sumatran and Javan rhino, Tiger, Gibbons, and a host of other species across the world. He has previously worked for FFI and WWF, and is currently Director of Species Conservation at Global Wildlife Conservation. Barney started his career in Southeast Asia, exploring the region during baseline biodiversity inventory surveys and searching for presumed extinct primates. Initially using community-based and protected area approaches to conserve species, he expanded to the integration of species conservation within wider landscape and socio-economic development processes conducting his Ph.D. on strategic conservation planning in Vietnam at DICE. Barney is a strong believer in the power of partnerships for conservation and is an active member of the IUCN Species Survival Commission, IUCN World Commission on Protected Areas, and the SMART, Conservation Assured, and Zero Poaching partnerships. He is also a board member of Save Vietnam’s Wildlife. Barney is an advocate for developing the next generation of conservationists. He was technical advisor the Class 3 EWCL Saola project. Elizabeth Murdock serves as Director of the Pacific Ocean Initiative for the Natural Resources Defense Council (NRDC), where she works with a team of policy experts to stop destructive fishing practices, protect important marine areas and species, and promote strong policies to protect the oceans. Elizabeth brings a diverse background in both domestic and international wildlife conservation. Her expertise ranges from policy, advocacy and on-the-ground conservation to executive leadership, organizational development and fundraising. 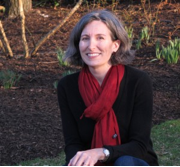 Before joining NRDC in September 2015, Elizabeth ran her own consulting practice, which focused on building the capacity of conservation organizations. Elizabeth also served as the Executive Director of Golden Gate Audubon Society in Berkeley, California; managed the Shark Conservation Program at WildAid in San Francisco; and managed a high-profile endangered species conservation program at the National Wildlife Federation in Washington, D.C. Elizabeth holds a degree in Humanities from Yale University. Elizabeth is based in NRDC’s San Francisco office. Dr. Jacqueline Ogden is currently Vice President of Animals, Science and Environment Animal Programs and Environmental Initiatives for Walt Disney Parks and Resorts. She received her Ph.D. in general/experimental psychology, with a specialization in animal behavior, from the Georgia Institute of Technology in 1992. Her background includes animal behavior research, education, animal management, and people management. Her research has focused on the impact of zoo-type environments on both human and non-human animals – including the impact these environments have our guests conservation-related knowledge, attitudes/affect, and behavior. In her current position, Jackie has oversight responsibility for animal collections across Walt Disney Parks and Resorts, including direct animal care, veterinary care, and education, scientific and conservation programs. Additionally, she has oversight of environmental integration initiatives across Disney Parks, including ensuring accomplishment of environmental goals and targets. She is on the board of directors for the Dian Fossey Gorilla Fund International, and is Immediate Past Chair of the Association of Zoos and Aquariums. Kevin is a digital strategist with the design and development agency, Viget. During his time there, Kevin has worked with a broad set of conservation organizations, including World Wildlife Fund, the Wildlife Conservation Society, Conservation International, the International Fund for Animal Welfare, and The Nature Conservancy. He helps lead all manner of online initiatives, ranging from the design and development of flagship sites like WorldWildlife.org to advocacy campaigns like 96Elephants.org. In his nearly 20-year career, Kevin has always been keenly interested in the application of technology and digital tools to conventional communications and outreach. Kevin holds a BS in Commerce from the University of Virginia. In 2012, he led the formation of White Oak’s foundational education department to advance conservation literacy and inspire conservation action. Today Brandon is the Chief Conservation Officer of White Oak where he leads and provides day-to-day management, communications and strategic direction for White Oak’s conservation (in situ and ex situ), education and training, and land stewardship programs. Brandon is an alumnus of the Emerging Wildlife Conservation Leaders program, and has traveled to Southeast Asia, Africa, Europe, and the Middle East in support of conservation and education. has worked for the protection of whales, sea turtles and other threatened wildlife species in the Caribbean prior to taking on the leadership of IFAW’s fight to protect wildlife, particularly elephants and other endangered species, from the ravages of commercial exploitation and illegal trade. A conservation professional for over 15 years, Kelvin holds a Diploma in Forestry and Master of Science degrees in Conservation Biology and Economics. Kelvin currently oversees IFAW’s Wildlife Crime and Consumer Awareness Programme coordinating efforts to maximize IFAW’s global impact on animal issues in more than forty countries. He has spearheaded the expansion of IFAW’s Prevention of Wildlife Trafficking (Wildlife Law Enforcement Training) programme, which provides ongoing training and support for law enforcement, customs officials and wildlife agencies faced with growing illegal trade issues. Kelvin works in close cooperation with INTERPOL’s Environmental Crime Program overseeing a joint partnership initiative involving wildlife law enforcement trainings and law enforcement operations across Africa and Asia to combat the illegal trade in endangered species. A native of Dominica, he has also held positions with the Forestry, Wildlife and Parks Division on Dominica. is the Associate Producer for the Discovery Channel Global Education Partnership, a nonprofit organization dedicated to using the power of media to transform education and improve lives in under-resourced communities all over the world. Michelle holds an M.F.A. in Film & Electronic Media from the Center for Environmental Filmmaking at American University and a B.S. in Ecology from the University of Georgia, a combination that has allowed to her to blend her love of science and storytelling to promote effective conservation messages. As part of the 3rd class of the Emerging Wildlife Conservation Leaders, Michelle was part of a team of six who organized a conservation campaign of the yellow-headed parrot in Belize, raising over $18,000 and producing a short video about the species. Prior to her work with DCGEP, Michelle was an Earth Science producer at NASA Goddard Space Flight Center and produced award-winning films at VideoTakes, Inc. in Arlington, VA. Michelle is also on the board of the environmental film festival, EcoFocus, in Athens, GA.
Dr. Eves is a wildlife biologist having studied and worked in Africa since 1985. 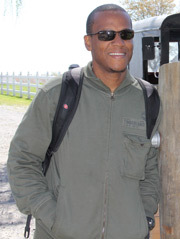 Currently a Professor in the Department of Biology, Ecology and Conservation at St. George’s University in the Caribbean island of Grenada, Dr. Eves is also a Visiting Assistant Professor at Virginia Tech’s graduate natural resources program and recent Professorial Lecturer at Johns Hopkins School of Advanced International Studies (SAIS) in Washington DC. She collaboratively trained a team from East Africa at the Mweka College of African Wildlife Management, Tanzania (2008-2009). She is Chief Technical Advisor to the Bushmeat-free Eastern Africa Network. 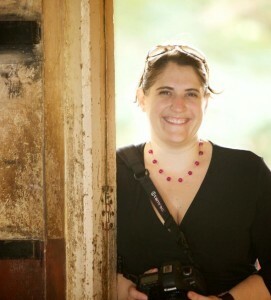 Heather directed the Bushmeat Crisis Task Force (2000-2008) a partnership of over 30 conservation organizations. Her dissertation research focused on bushmeat trade and policy development in Central Africa. Her thesis work, supported by a Fulbright scholarship, focused on game bird hunting and management in Kenya. In addition to field research and conservation program development, she created wildlife education programmes as Coordinator of the William Holden Wildlife Education Center in Kenya and was a Peace Corps Volunteer in Kenya. She has extensive experience in capacity-building, conservation project design and planning (Adaptive Management), partnership development, media and communications. Active in her faith community, she taught courses on environmental stewardship and was Co-Chair of her faith community’s Ministry on environment. She is the DC Diva for the Green Divas Radio Show Heather is a member of the IUCN/SSC Antelope Specialist Group and Primate Specialist Group Subgroup on Great Apes, was on the Editorial Advisory Board of The Wildlife Professional, a Board Member of the Emerging Wildlife Conservation Leaders fellowship program since its inception, and ProjectWILD Facilitator. She is published in Oryx, TRENDS in Ecology and Evolution, African Journal of Ecology, Conservation in Practice, Frontiers in Ecology and Environment along with a number of book chapters and professional association publications. She has participated in a number of conservation policy efforts including US Congressional briefings, Convention on Biological Diversity (CBD), Convention on International Trade in Endangered Species of Wild Fauna and Flora (CITES) and the World Conservation Union (IUCN). She is an avid cyclist having recently completed the 2012 Climate Ride from New York City to Washington D.C. and raising thousands of dollars for environmental conservation efforts. Nina Fascione is currently Vice President of Philanthropy at Defenders of Wildlife in Washington, D.C., where she oversees the organization’s efforts to raise funds from major and planned gifts, foundations and corporations for strategic conservation work. Nina previously served as Executive Director of Bat Conservation International, where she guided the Austin, Texas-based organization in its efforts to protect bats and their habitats around the world. Additionally, Nina was Vice President for Field Conservation Programs at Defenders of Wildlife, where she managed Defenders’ largest division, dedicated to endangered species and habitat conservation. She has also held positions with the Wildlife Habitat Council and the Zoological Society of Philadelphia. Nina serves on Ewaso Lions Board of Directors and was co-chair of the American Zoo and Aquarium’s Bat Taxon Advisory Group. Nina has a Master of Applied Anthropology and a B.A. in Anthropology from the University of Maryland, and edited the book “People and Predators: From Conflict to Coexistence.” Nina is the co-founder and Board co-Chair of the Emerging Wildlife Conservation Leaders program, which provides mentoring and conservation campaign and leadership training for emerging leaders in the conservation field. Jeffrey Flocken is the Senior Vice President of Programs & Policy for the Humane Society International where he works with professional campaigners, scientists and lawyers advocating on behalf of animals around the globe. Prior to this Mr. Flocken worked as the North American Regional Director for the International Fund for Animal Welfare, and prior to that he worked for the US Government, where he focused on international species conservation policy, outreach, and global conservation grant programs. Mr. Flocken has served as a consultant on numerous movies, books and television shows addressing wildlife conservation topics. He currently serves on the Board of Directors of the Jaguar Conservation Fund and the GRACE Grauer’s Gorilla Sanctuary, as well as the Steering Committee for the IUCN Tapir Specialist Group. Mr. Flocken is also the co-founder and Board co-Chair of the Emerging Wildlife Conservation Leaders initiative which mentors and provides campaign training for up-and-coming leaders in the wildlife field. He is coauthor of the award-winning book “Wildlife Heroes”, published by Running Press in March 2012.
is the Ecotourism Program Manager for the Humane Society International (HSI), based in Washington, DC. She works on projects internationally, with a focus on Central America and the Wider Caribbean Region. In this capacity, she develops, manages, and promotes wildlife ecotourism and alternative livelihood projects which serve to counter lethal and non-animal-friendly uses of wildlife. By developing community based wildlife ecotourism programs, she provides communities with a non-extractive economic alternative for capitalizing on local natural resources and motivates local residents to take a more proactive role in the protection of local endangered species and their habitat. Prior to joining HSI, she worked as a Policy Analyst at the International Fund for Animal Welfare. During her tenure there, she was tasked with work on multiple IFAW campaigns, with particular emphasis on whales and lions, carrying out research and development, and associated legislative tasks. Amanda has an undergraduate degree in Spanish and Latin American Studies from the College of the Holy Cross, and a Masters of Ecotourism from James Cook University in Queensland, Australia. Prior to furthering her education, she spent seven years working in the private sector as an Associate/Analyst for major financial firms including Morgan Stanley and New York Life Investment Management. is a graduate of the University of the West Indies in Zoology and Botany and has completed post graduate courses in Environmental Biology. She worked in the Forestry Division for over 20 years, serving as Head of Wildlife for the last 13 years of her employment. During this time she administered wildlife and wetland conservation programmes, including the related Conventions of CITES and Ramsar and provided secretariat duties for the Cabinet-appointed Wildlife Conservation, Honorary Game Warden and National Wetlands Committees. Some of the well-known projects in which she was involved are the Nariva Swamp Restoration Project and community co-management of the endangered leatherback turtles. She has authored either singly or jointly, papers on a range of wildlife and wetland related topics, delivered lectures/presentations, as well as facilitated workshops and seminars in this area of specialization. Currently she serves as the Conservation Adviser for the Zoological Society of Trinidad and Tobago. In this capacity, wildlife conservation, environmental education and social responsibility are among her responsibilities. She is also well-known in the Caribbean, through her work with MEAs and having taught many of the regional foresters at the Eastern Caribbean Institute of Agriculture and Forestry.